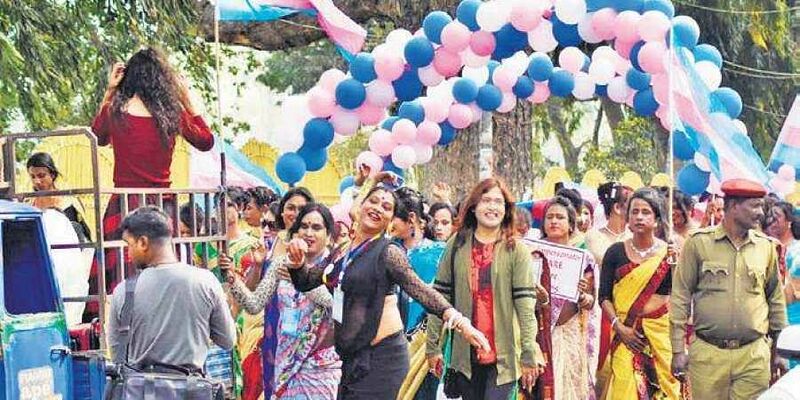 Will Assam abandon its third gender? 20,000 transgenders are hoping SC will hear their plea to be included in citizen list. GUWAHATI: Abandoned by their families, Assam’s 20,000-odd transgenders now worry about being abandoned by the State. They were left out of the draft National Register of Citizens (NRC) published on July 30. Their only hope hinges on the Supreme Court, which will hear a petition filed by the All Assam Transgenders’ Association (AATA) seeking inclusion of their names in the draft. The SC will hear the petition on August 16. Around 2,000 transgenders had applied for inclusion of their names in the NRC, but a few could make it to the list. According to the 2011 Census, Assam’s transgender population is 11,599. However, transgender activist and AATA founder Swati Bidhan Baruah said the figure would be over 20,000. She said there were many who did not come out for the fear of family or social stigma. “During a recent hearing on our petition by a Division Bench of Justice Ranjan Gogoi and Justice Rohinton Fali Nariman, we were told that we had missed the NRC bus. However, the petition was not dismissed. The next hearing is on August 16, and we are hopeful the court’s order will go in our favour,” Swati told The Sunday Standard. She said the applicants belonging to the third gender community had failed to submit any documents to prove their linkage with their parents due to lack of support from families. “As most transgenders are leading a secluded life after being driven out of their homes, many of them could not submit any documents to prove that they or their parents have been living in the country from before the NRC cut-off date,” Swati said. The genders on NRC application form were male, female and ‘others’. There should have been some relaxation for ‘others’; the same yardstick cannot be applied in the cases of the third gender, she contested. “We knew transgenders would face difficulties in getting their names included in NRC. As such, we had been constantly in touch with NRC state coordinator Prateek Hajela. He assured us of taking measures to protect our interests. When nothing happened, we had to move Supreme Court,” Swati said. “In a 2014 judgment, the Supreme Court had directed the Centre as well as the state government to ensure that the third gender enjoys constitutional rights. As nothing changed on the ground, we filed a PIL in the Gauhati High Court demanding our rights which include healthcare facilities, job opportunities, liberty to enjoy our culture and tradition etc. The HC directed the Assam government to implement the SC order within six months. Four months have elapsed but no action has been taken so far,” Swati rued.